Where we live, work, and play directly impacts our health outcomes. The American Planning Association (APA) is committed to promoting healthy places and integrating health considerations into planning practice and decision-making. APA has taken an active role, in partnership with the American Public Health Association, in developing a “Planners4Health” initiative to promote healthy places through the local APA chapters. Planners4Health seeks to build capacity at the chapter level to create stronger, healthier communities by fostering greater coordination between planners and public health professionals. For more information, check out the APA’s Planners4Health initiative. 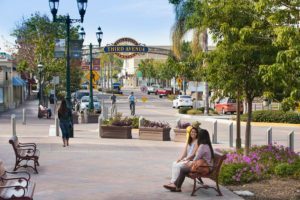 The San Diego Section of the American Planning Association (SDAPA) is also committed to promoting healthy places under the umbrella of the Planners4Health initiative. The region has seen the integration of public health and planning at the local level through programs and policies such as the County of San Diego Health and Human Services Agency Healthy Works Project, Live Well San Diego campaign, General Plan elements that focus on health and wellbeing, and regional planning efforts. If you know of other resources that we can add to this page, please contact us!